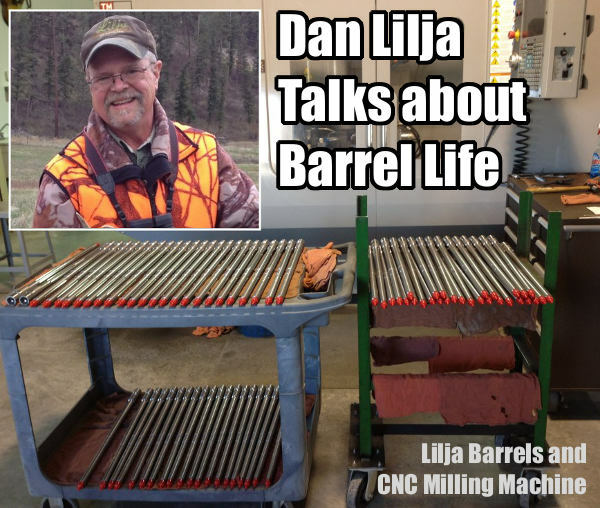 Barrel-maker Dan Lilja’s website has an excellent FAQ page that contains a wealth of useful information. On the Lilja FAQ Page as you’ll find informed answers to many commonly-asked questions. For example, Dan’s FAQ addresses the question of barrel life. Dan looks at factors that affect barrel longevity, and provides some predictions for barrel life, based on caliber, chambering, and intended use. NOTE: This article was very well-received when it was first published last year. We are reprising it for the benefit of readers who missed it the first time. Q. What Barrel Life, in number of rounds fired, can I expect from my new barrel? A: That is a good question, asked often by our customers. But again there is not a simple answer. In my opinion there are two distinct types of barrel life. Accurate barrel life is probably the type most of us are referencing when we ask the question. But there is also absolute barrel life too. That is the point where a barrel will no longer stabilize a bullet and accuracy is wild. The benchrest shooter and to a lesser extent other target shooters are looking at accurate barrel life only when asking this question. To a benchrest shooter firing in matches where group size is the only measure of precision, accuracy is everything. But to a score shooter firing at a target, or bull, that is larger than the potential group size of the rifle, it is less important. And to the varmint hunter shooting prairie dog-size animals, the difference between a .25 MOA rifle or one that has dropped in accuracy to .5 MOA may not be noticeable in the field. The big enemy to barrel life is heat. A barrel looses most of its accuracy due to erosion of the throat area of the barrel. Although wear on the crown from cleaning can cause problems too. The throat erosion is accelerated by heat. Any fast varmint-type cartridge can burn out a barrel in just a few hundred rounds if those rounds are shot one after another without letting the barrel cool between groups. A cartridge burning less powder will last longer or increasing the bore size for a given powder volume helps too. For example a .243 Winchester and a .308 Winchester both are based on the same case but the .308 will last longer because it has a larger bore. And stainless steel barrels will last longer than chrome-moly barrels. This is due to the ability of stainless steel to resist heat erosion better than the chrome-moly steel. As a very rough rule of thumb I would say that with cartridges of .222 Remington size you could expect an accurate barrel life of 3000-4000 rounds. And varmint-type accuracy should be quite a bit longer than this. For medium-size cartridges, such as the .308 Winchester, 7×57 and even the 25-06, 2000-3000 rounds of accurate life is reasonable. Hot .224 caliber-type cartridges will not do as well, and 1000-2500 rounds is to be expected. Bigger magnum hunting-type rounds will shoot from 1500-3000 accurate rounds. But the bigger 30-378 Weatherby types won’t do as well, being closer to the 1500-round figure. These numbers are based on the use of stainless steel barrels. For chrome-moly barrels I would reduce these by roughly 20%. The .17 and .50 calibers are rules unto themselves and I’m pressed to predict a figure. The best life can be expected from the 22 long rifle (.22 LR) barrels with 5000-10,000 accurate rounds to be expected. We have in our shop one our drop-in Anschutz barrels that has 200,000 rounds through it and the shooter, a competitive small-bore shooter reported that it had just quit shooting. Remember that predicting barrel life is a complicated, highly variable subject. You are the best judge of this with your particular barrel. Signs of accurate barrel life on the wane are increased copper fouling, lengthened throat depth, and decreased accuracy. I thought it might be interesting to point out a few exceptional Aggregates that I’ve fired with 6PPC benchrest rifles with barrels that had thousands of rounds through them. 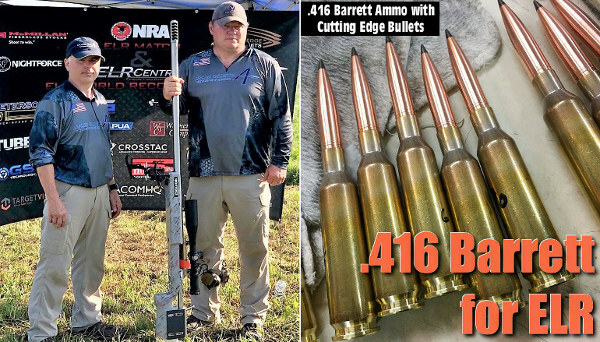 I know benchrest shooters that would never fire barrels with over 1500 shots fired in them in registered benchrest matches. I fired my smallest 100-yard 5-shot Aggregate ever in 1992 at a registered benchrest match in Lewiston, Idaho. 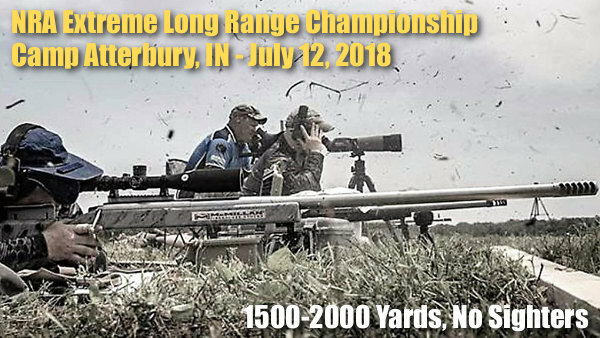 It was a .1558″ aggregate fired in the Heavy Varmint class. And that barrel had about 2100 rounds through it at the time. Another good aggregate was fired at the 1997 NBRSA Nationals in Phoenix, Arizona during the 200-yard Light Varmint event. I placed second at this yardage with a 6PPC barrel that had over 2700 rounds through it at the time. I retired this barrel after that match because it had started to copper-foul quite a bit. But accuracy was still good. Share the post "Can We Predict Useful Barrel Life? Insights from Dan Lilja"
Are you feelin’ lucky? Then enter this contest run by our friends at EuroOptic.com. The prize is an impressive Modern Sporting Rifle from Barrett. Enter for a chance to win a Barrett REC7 Carbine (5.56×45 NATO), fitted with a Vortex Razor Gen II HD-E 1-6x24mm optic and Seekins Precision cantilevered scope mount. Rifle, scope, and mount collectively have a true retail value of $3887.99 — that’s some serious coin. ENTER Contest HERE. The Barrett REC7 ain’t your typical AR15 clone. With a gas piston system, this rifle runs much cleaner. One of the most advanced modern sporting rifles on the market, the Barrett REC7 Carbine features a gas piston operating system and a tungsten gray Cerakote on the upper and lower receiver of the rifle. On top, a Picatinny rail extends the full length of the upper receiver with handguard M-LOK attachment points at 3, 6, and 9 o’clock. The REC7’s hammer-forged barrel is chrome-lined for corrosion resistance, and is fitted with a mil-spec 3-prong flash hider. The REC7 retails for $2299.00. Entry period ends after August 31, 2018. Entry into this sweepstakes constitutes opt-in to be emailed directly from the sweepstakes sponsors. Additionally, entrants who choose to opt-out of our mailing list prior to drawing of a winner are also opting out of the sweepstakes. The winner of the sweepstakes may be required to sign and return a release of liability, declaration of eligibility and, where lawful, a publicity consent agreement, as conditions of receiving the prize. EuroOptic reserves the right to refuse prize to any entrant for any reason. Eligibility is limited to only legal residents of the United States and the District of Columbia. 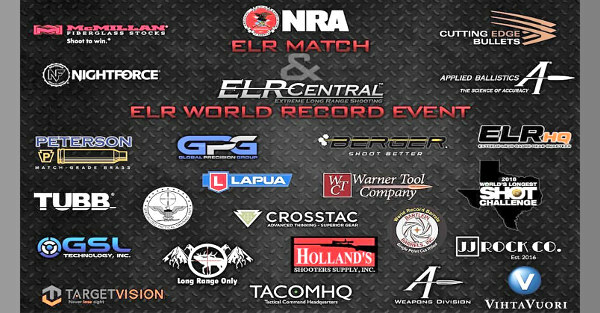 Employees of EuroOptic, Barrett, Vortex Optics are not eligible to enter. VOID WHERE PROHIBITED. All federal, state, and/or local rules and regulations apply. 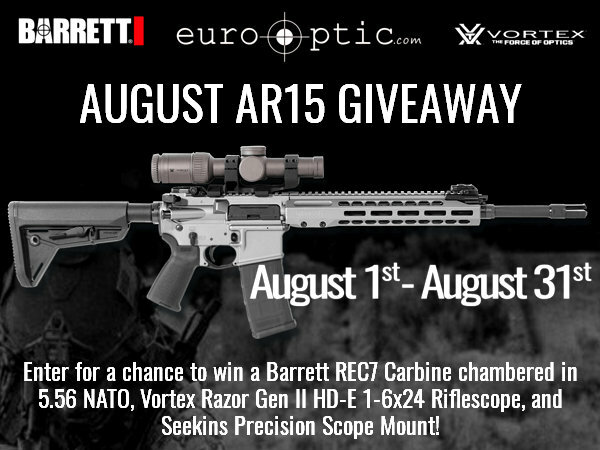 Share the post "EuroOptic.com August AR15 Give-Away Contest"